CLEVELAND — Authorities say a police officer who fatally shot an unarmed man after he was transported to an Ohio homeless shelter had used a stun gun on him unsuccessfully before firing his gun. The man was identified by Summit County medical examiner Gary Guenther as 30-year-old William Andrew Porubsky. The medical examiner says Porubsky and the officer got into a fight after they arrived at the Haven of Rest shelter in Akron on Sunday night. Police say the officer asked for backup from Akron police because the man was becoming aggressive. A police radio log shows shots were fired about six minutes later. Akron police records show Porubsky was unarmed. Porubsky’s grandparents said Tuesday they’re upset and don’t understand why he was shot and killed. CLEVELAND — The Coast Guard is searching for a man who went missing Monday while swimming in Lake Erie near Cleveland. A woman called the joint rescue coordination center in Cleveland at about 7:30 p.m. Monday to report that her father, of Bratenahl, appeared to be drowning. She said he had been swimming in the water near a boat when he was hit by a large wave and did not resurface. Crews remained on the scene Tuesday, where a helicopter delayed by weather was expected to join the efforts. TOLEDO — Police say an Ohio officer has shot and killed a man while responding to a 911 call about domestic violence. Toledo police tell The Blade newspaper that the officer was investigating a report of a man assaulting a woman Monday night when the shooting occurred. A police spokesman declined to give specifics, saying the details are still being investigated. He says the case is being handled by a team trained in police shooting investigations. Police did not release the name of the officer or the man who was killed. SPRINGFIELD — County officials in central Ohio say they won’t accept an $840,000 grant from the state prison department because they fear the requirements could cause jail overcrowding. 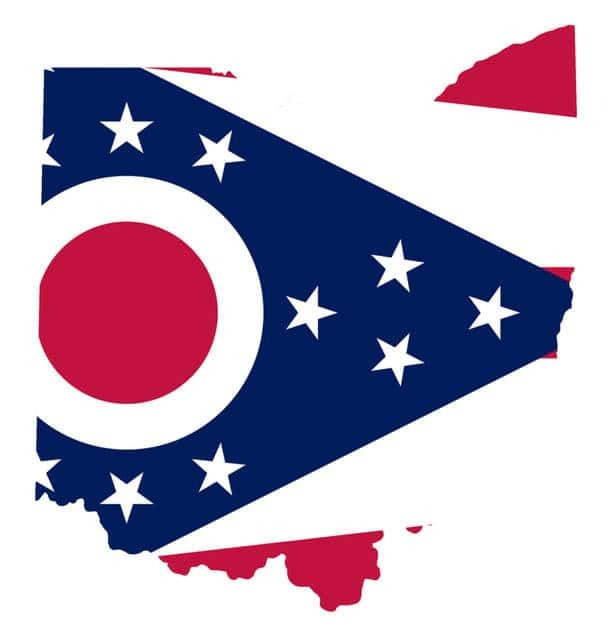 The Springfield News-Sun reports Clark County officials say the Ohio Department of Rehabilitation and Correction grant would require the county to house people sentenced to low-level, fifth-degree felonies in local jails instead of sending them to state prisons. It costs the state about $26,000 a year to house felons. Clark County commissioners and the sheriff’s office initially accepted the grant but then declined saying it could lead to a nearly 25 percent increase in the county’s jail population. Ohio’s 10 most populous counties are required to accept the grants. YOUNGSTOWN — Volunteers have teamed up to give more than 500 Ohio school students, their parents and teachers a haircut just in time for the first day of school. The Vindicator reports that the Fresh Start event happened at East High School in Youngstown in northeastern Ohio Sunday in preparation for school Tuesday. The event was sponsored by several groups and individuals including Youngstown schools and the BRIDGE barber program, which encourages kids to read more during summer vacation. CINCINNATI — With Cincinnati’s streetcar close to its one-year anniversary, ridership projections have fallen short of expectations. Consultants for the Cincinnati Bell Connector predicted it would see about 3,200 rides each day. The streetcar saw more than 18,000 rides when it opened Sept. 9, 2016, but it has not seen more than an average of 2,026 rides a day since. The Southwest Ohio Regional Transit Authority now estimates an average of 1,693 rides a day between July 2017 and June 2018. Most of the streetcar funds go toward Transdev, the company hired by the city to run it. The city pays about 3 percent of the costs, with money going toward parking enforcement and related tasks.